Make better use of safety functions onboard state-of-the-art vehicles that are equipped with various advanced driver assistance systems. The ideas for making better use of safety functions will be elaborated as part of the MeBeSafe coaching framework in WP4. In this report only an introduction to this type of in-vehicle solutions has been given. Direct their attention to potential hazards on the road. As a use case for this type of nudging, we focus at the interaction between cyclists and passenger cars on the road; representing a large number of traffic casualties which is difficult to address by current advanced driver assistance systems due to the high maneuvrability of cyclists. To direct the attention to potential hazards, two basic system components are needed: 1. A model to estimate the level and type of hazard and 2. A human-machine-interface to provide appropriate information regarding this hazard to a driver. The report describes the set up of such a hazard prediction model and its components: a static world model referring to road layout and traffic rules, a dynamic world model that considers the actual detections of potential hazards on the road, and a cyclist trajectory prediction model that is intended to predict where a cyclist is going in the upcoming couple of seconds. Al the information from these components is integrated to estimate a hazard level in an approach of a cyclist intersection. Moreover, different options for transferring information regarding the estimated hazard to the driver have been identified. The report shows which design rules and approach need to be followed to develop these options into an effective human-machine-interface. Both in the hazard model as in the HMI-options, there is room for selecting parameter values that influence the effectiveness of the combined nudging-solution. 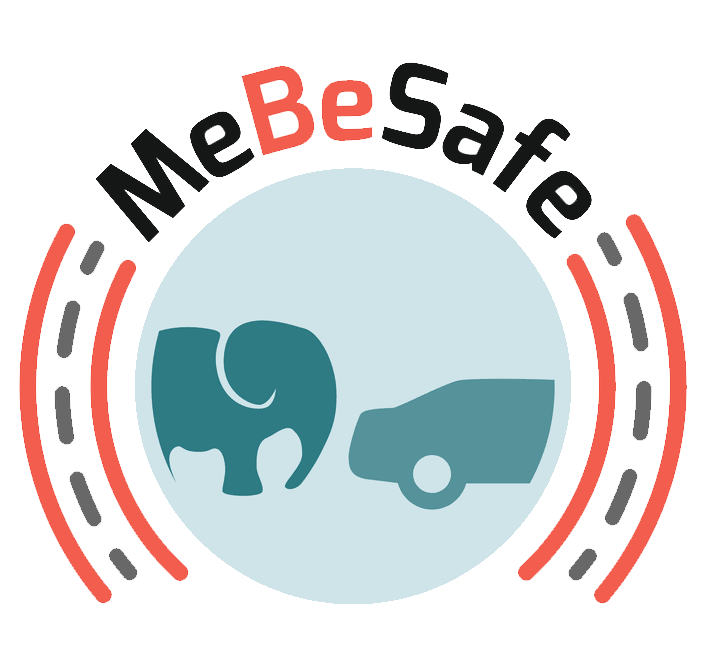 In a next step in MeBeSafe WP2, tests with simulations and test with simulators will be used to determine the most promising in-vehicle nudging solution that will actually be implemented as a prototype in one FIAT 500X vehicle for testing in WP5. The full report can downloaded under results.